Haven't been feeling well lately, felt terrible this morning and ended up spending my day in bed. It feels nice to be in bed all day long, but not nice when you're sick! bleh! So full of stuff! I love this Global box! 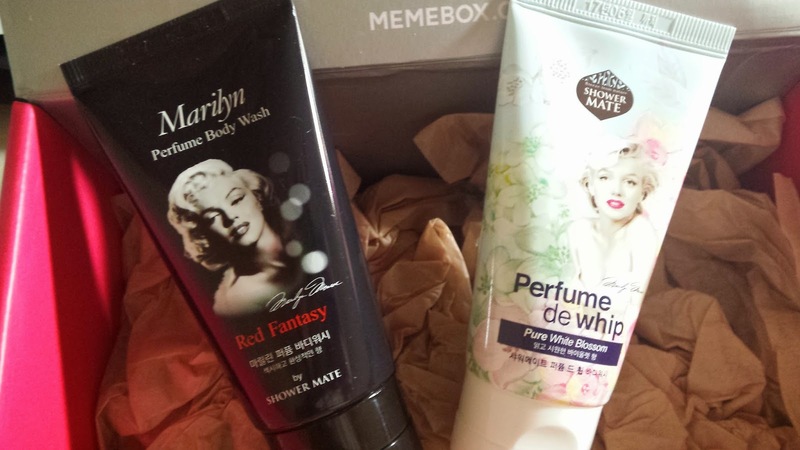 Here is two tubes of perfume bottle wash which is meant to make you feel and smell beautiful after your shower! Great travel size for me, these costs US $4 each. 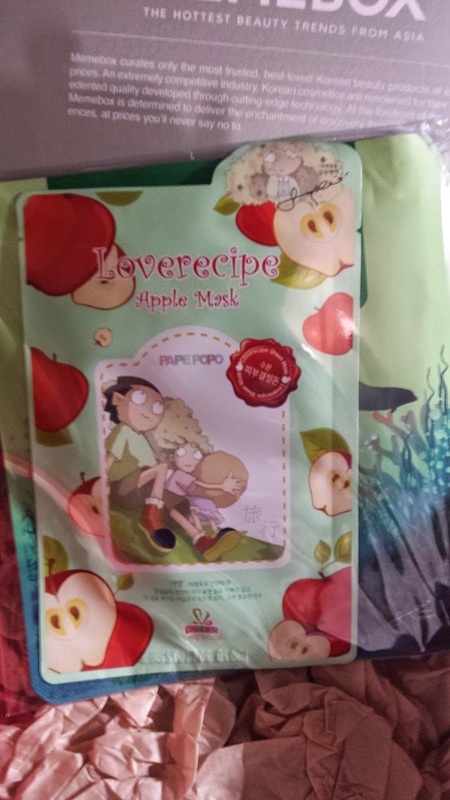 This 4 set costs US $14 and has 4 lovely masks, these are huge and quite heavy. 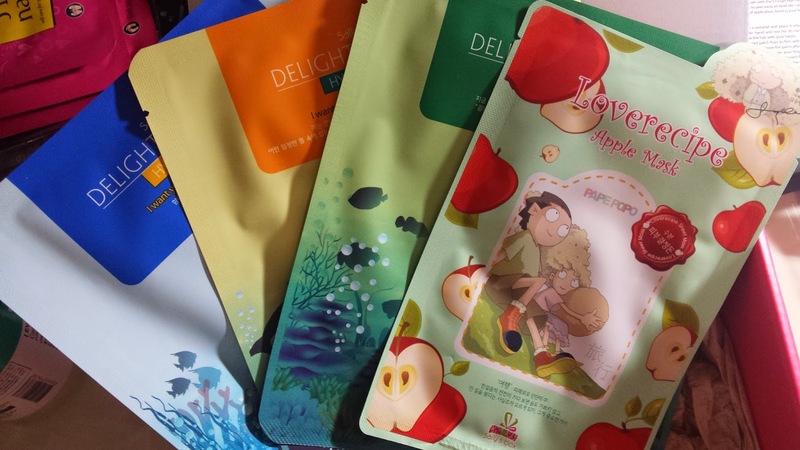 One face mask in each pack which you rest on your face for 15-20mins and pat down for full absorbance. Wow! this sells for US $38! I got the Glimmer Coral waterproof gel liner pencil. 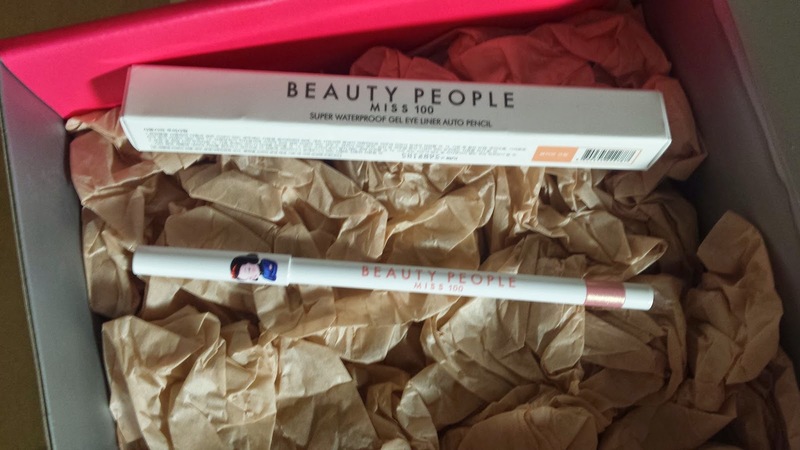 I relly love beauty people's gel liners and the packaging is just too pretty :) My first coral gel liner i think! This is an interesting product...have kept this on my desk for awhile. 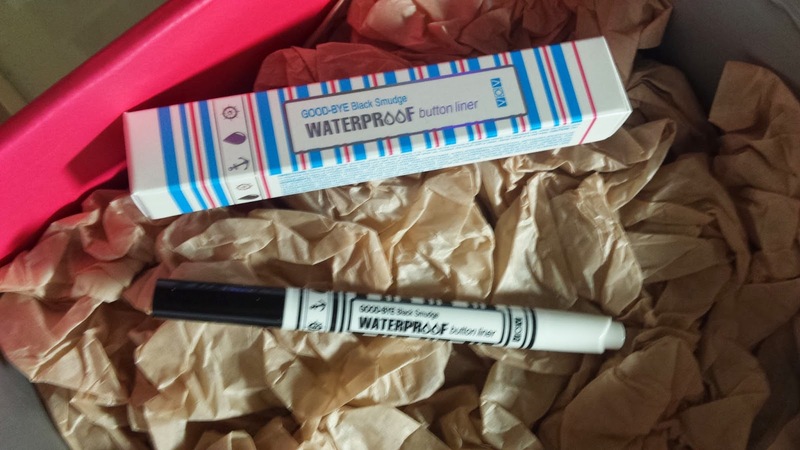 This is a great waterproof liner! Really love it! Really compact and love the design. This sells for US $9. This pack costs US $20 and comes with 4 different packs within. 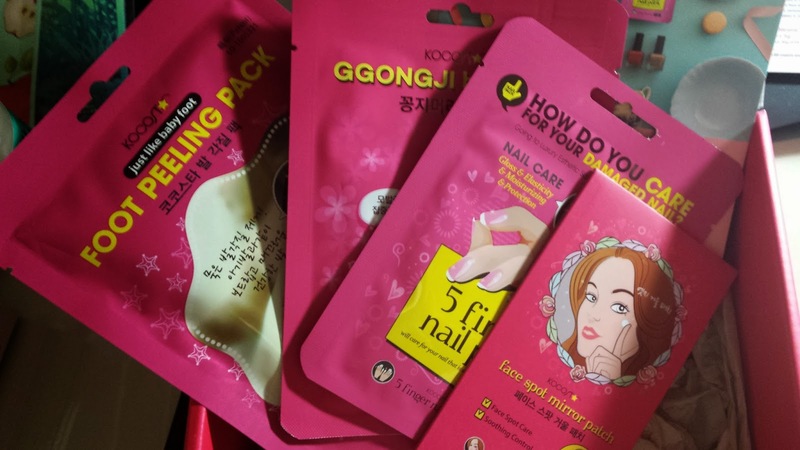 I've used the hair pack and the finger nail pack last week and they are both great and moisturising. I would like it more moisturising though =\ May be because I felt there wasn't enough product in it. 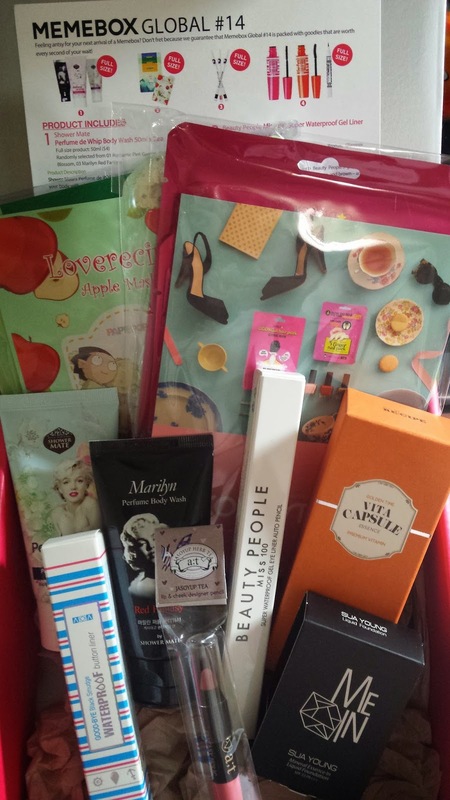 This is easily one of my favourite products in this box. 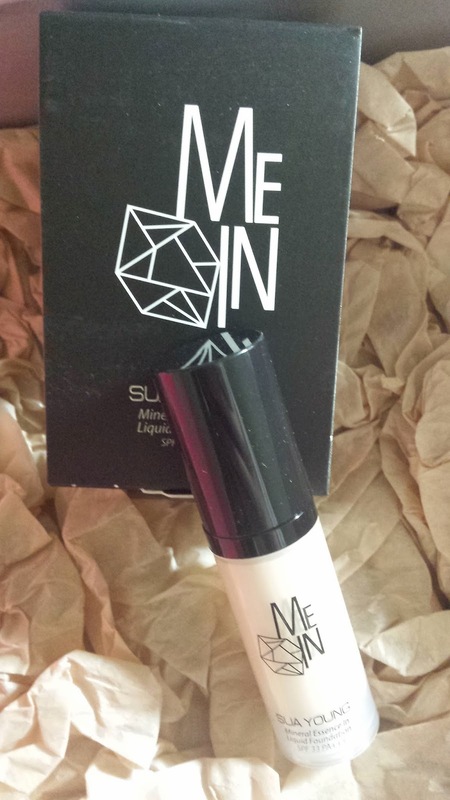 A sample size of 5g of this beige liquid foundation. Great mini sample for me, it looks promising. The full size item is 40g and sells for US $34. This is a cute little bottle of essence! 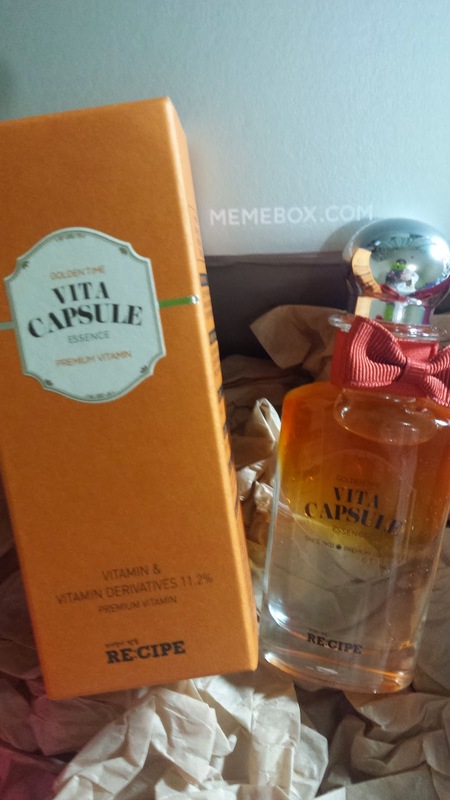 Heavy bottle i must say as well :) Pretty much has the vitamins which will deliver all the nutrition and nourishment to your skin. This sells for US $42. Got the 02 Lovely Coral colour and it's beautiful! 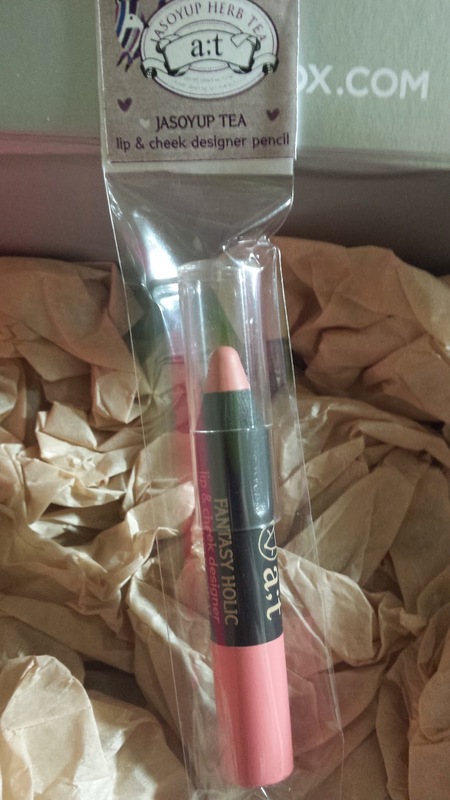 This lip and cheek pencil can be used as a blusher or as a lip pencil! Beautiful and cute sized! :) This sells for US $7.